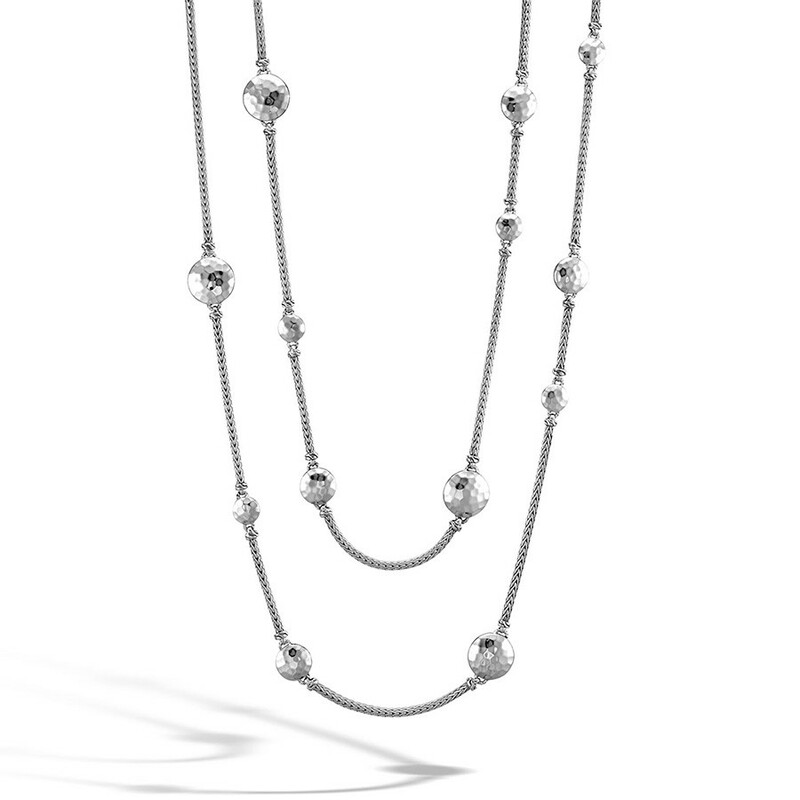 With 72" of pure fashion, this amazing sautoir necklace from the Palu collection by John Hardy is a masterpiece. Sterling silver classic chains connect to hand-hammered sterling silver disc stations of various sizes that sit upon the piece. Small classic chain cuffs flank the rippled discs for more artistic quality. Worn doubled or even tripled, this John Hardy necklace will add a stunning embellishment to any outfit!